Home / News / 20% Off Sale! I’m pleased to announce our very first sale! 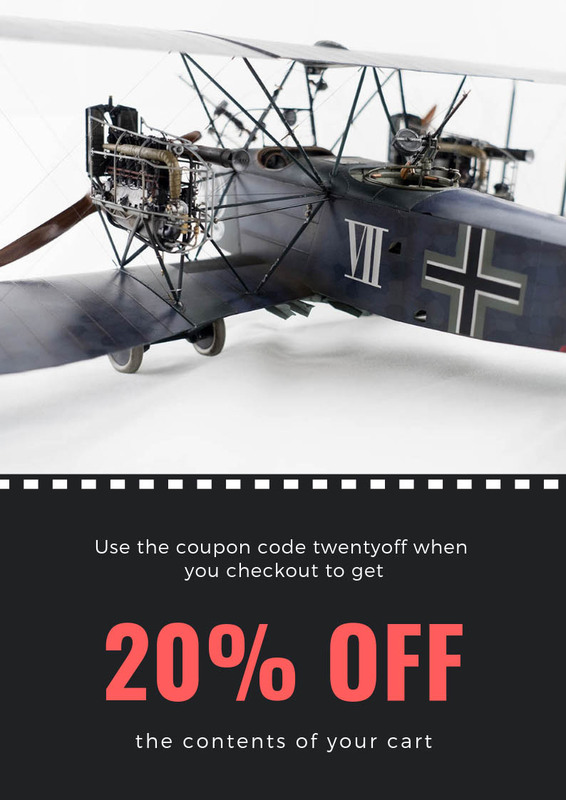 From now until midnight, 8 October Australian Eastern Daylight Time (over the weekend, basically, accounting for various timezones), using the coupon code twentyoff at checkout will give you a 20% discount on the contents of your cart. There are no restrictions in terms of which titles are applicable, or how many you can have in your cart (up to one of each). Next post: Announcing our Next Book – Building the Revell He 219 in 1/32 Scale!